Tesla's work colleagues. 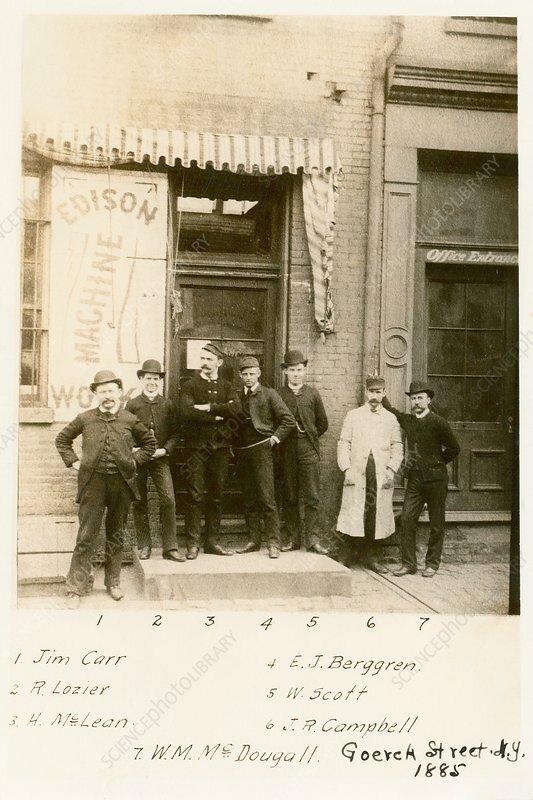 Group of workers at the Edison Machine Works, Goerck Street, New York, USA, in 1885, the year that Serb-US physicist and electrical engineer Nikola Tesla (1856-1943) started work here. Tesla was educated at Graz and Prague, emigrating to the USA in 1884. He worked at the Edison Machine Works for six months before leaving to form his own company. Tesla carried out research that led to key advances in areas such as alternating current power generation and transmission. The SI unit of magnetic flux density is named in his honour.